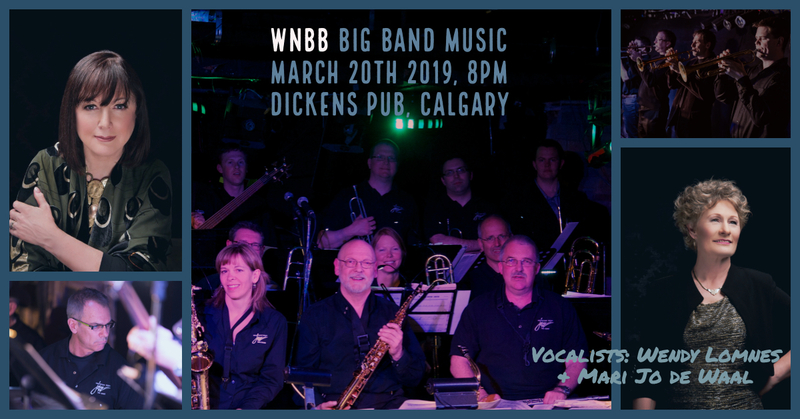 The WNBB Big Band has a great show planned for you for the first day of Spring on March 20th, at Dickens Pub. We will feature two new arrangements: Selections from Jesus Christ Superstar by our own Dave Prentice, and This Could Be The Start Of Something Big by our own Dana Kaukinen. Wendy Lomnes and Mari Jo de Waal will be singing with us. We’ll also be reviving some old favourites, including Spain and Chuck Mangione’s Land of Make Believe. Mr Pat Beliiveau will be joining us! 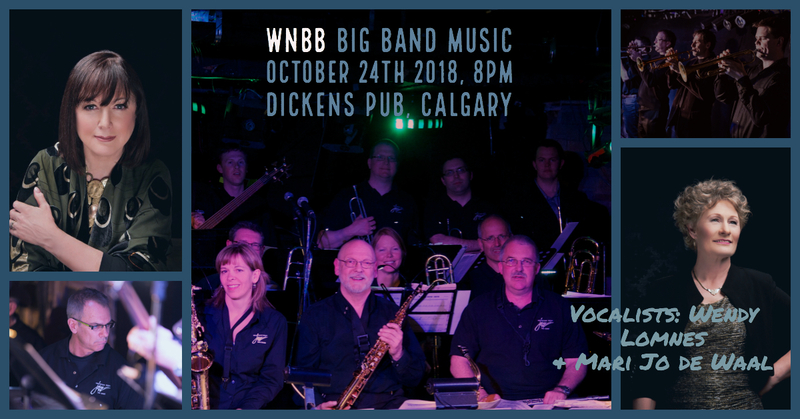 The WNBB Big Band plays Dickens Pub on December 12th. Come out for great big band jazz including some of your favourite Christmas songs. Join us on Wednesday for our fall show! Dickens Pub, 9th Ave and 9 St SW Calgary, $15, 8PM. Movie and Show concert moved to June 12. 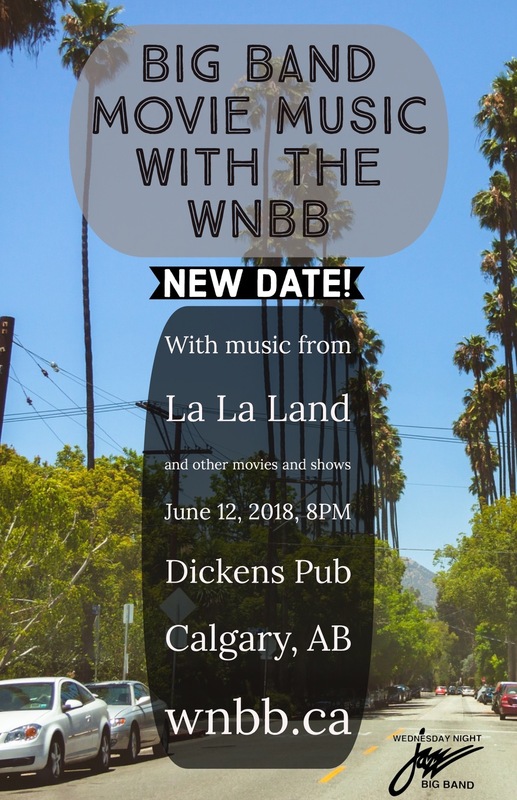 Our Movie and Show concert at Dickens Pub featuring some of the music of La La Land has been moved to June 12th!